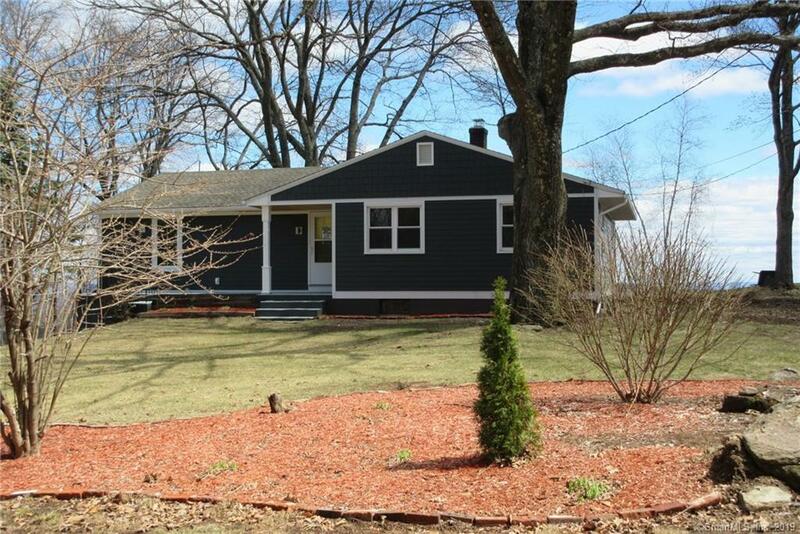 Totally renovated 3 bedroom, 2 bath ranch with quality workmanship throughout with original design and attention to detail situated on 2.14 scenic acres with reconstructed garage. Compare to new construction. Maintenance free exterior. Kitchen is completely remodeled and beautifully laid out with soft close cabinets/drawers. The open floor plan and plentiful windows provide the feeling of spaciousness and an abundance of natural light. Gorgeous hardwood floors throughout. Unique vaulted ceiling in living room with fireplace. Office/computer space is phone and cable ready. Enjoy the views and the awesome sunsets from your living room, your brand new 20'x12' deck or sitting on the natural terrace overlooking the Nassahegan State Forest. Lower level is completely redone with dry core sub floor and luxury vinyl flooring with laundry room. All new electric and plumbing throughout. Brand new septic system and 750' well inc. pump and tank. Newer top of the line Buderus boiler and water tank. So many new improvements to mention here so be sure to ask for the printout. Directions: Route 4 To George Washington Tnpk. Immediate Right Onto Savarese Lane. House On Left.